Petal Power is all about flowers - new growth - creating Spring in your home regardless of the weather outside. I don't know about you, but gardening isn't one of my strong points. 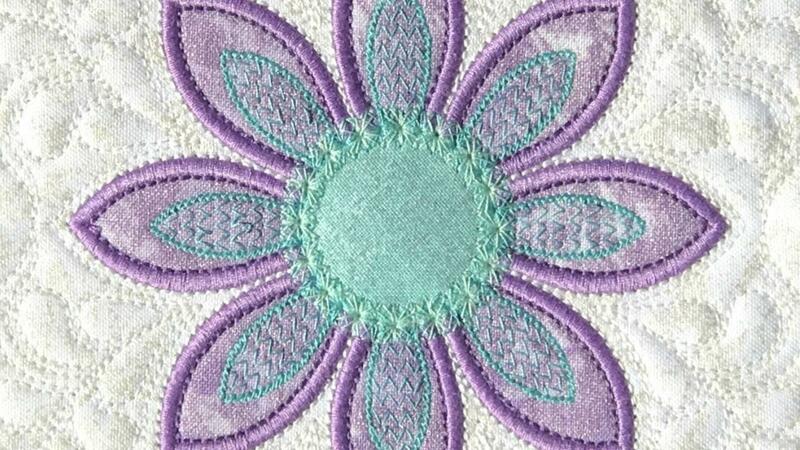 What I can do, though, is create flowers using fabric and thread. And with the Petal Power design collections, now you can too! With Petal Power you can create flowers that will bloom all year long. These flowers are perfect to be sprinkled everywhere! Add a touch of Spring to your kitchen and bathroom with Petal Power 4" flowers on your hand towels. The 5" x 5" quilted in the hoop blocks are perfect for quilted pillows, table runners, baby quilts - and on their own as coasters or mug rugs!